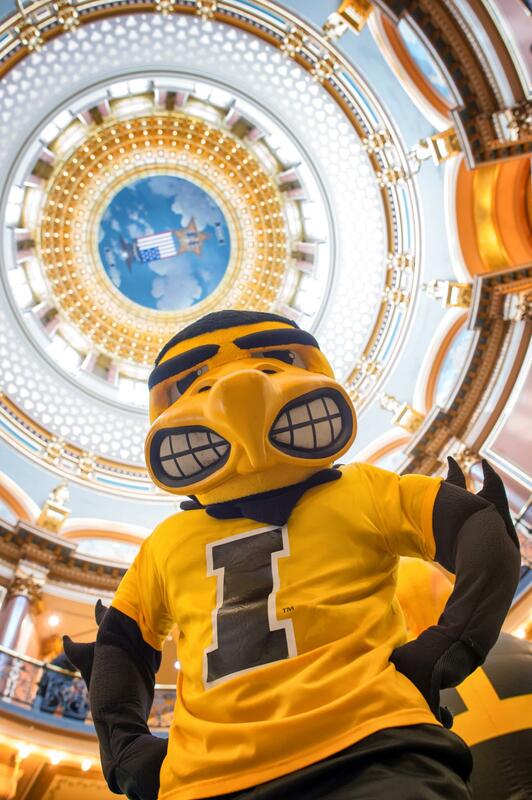 Herky made himself at home at the State Capitol on April 5 as part of Hawkeye Caucus Day. He was joined by about 85 undergraduate and graduate students who made the trek to Des Moines to introduce the work of nearly 50 UI programs, including STEM, ROTC, and initiatives from the arts, sciences, health care, and humanities. Photo by Justin Torner. 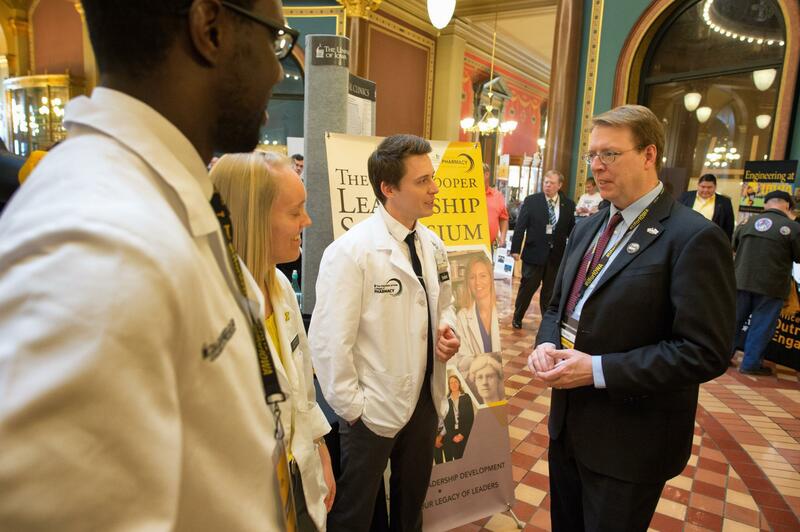 On Tuesday, April 5, University of Iowa students, faculty, staff, and administrators met face to face with legislators in a crowded rotunda of the State Capitol in Des Moines. 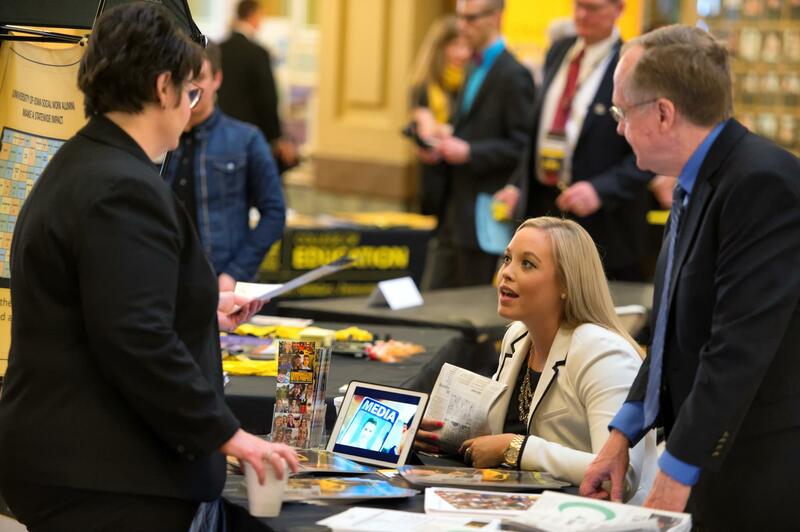 They arrived with tables, posters, stickers, buttons, and brochures from their respective departments and programs, ready to showcase the impact made by the UI on every Iowan in every corner of the state. About 85 undergraduate and graduate students made the trek to Des Moines to introduce the work of nearly 50 UI programs, including STEM, ROTC, and initiatives from the arts, sciences, health care, and humanities. 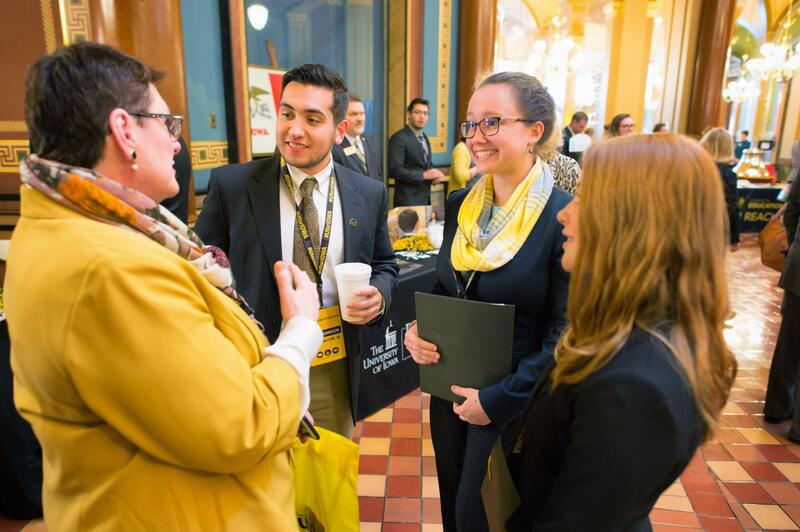 University students and leaders enjoyed unique access to legislators and gained insight into state government, and also exchanged information and ideas about the important services the UI provides statewide. 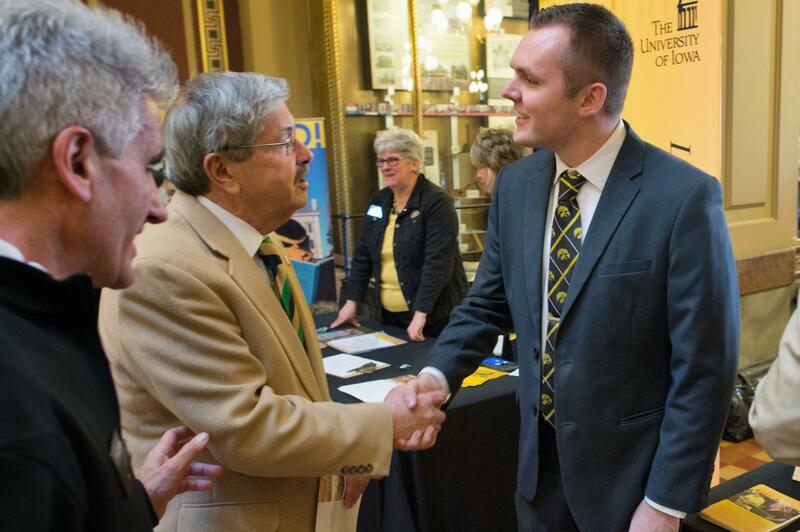 Launched in 2011, the annual Des Moines event is just one initiative from the Hawkeye Caucus, a grassroots outreach project that aims to inform Iowans about how the university helps make the state smarter, healthier, more livable, and more prosperous. Other projects include regular email alerts to UI supporters, policymakers, and legislative staffers. 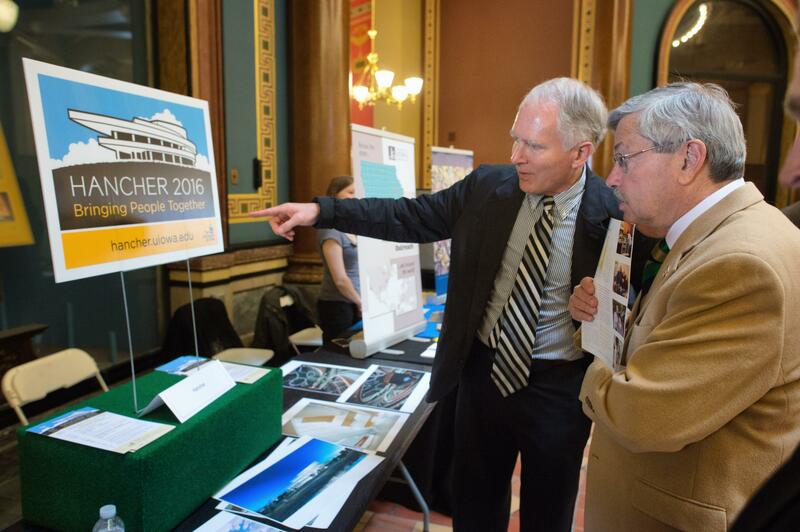 The messages highlight UI activities that benefit Iowa students, businesses, communities, and taxpayers. Learn more about the Hawkeye Caucus at www.hawkeyecaucus.com, via Facebook at www.facebook.com/UIHawkeyeCaucus, or on Twitter: twitter.com/hawkeyecaucus.